We've been planning it for a while and now the news is out: The Escapist is launching its own consumer focused convention this fall. Called Escapist Expo, the new show will be held September 14-16 in our own hometown of Durham, NC. We're inviting gamers, game makers, and geeks of all kinds to come together for a weekend of gaming, roleplaying, sci-fi, comics and more. We'll have official tournaments for Gears of War and Magic: The Gathering, opportunities to meet celebrities, panels with industry professionals, an exhibit hall for publishers, and, of course, lots and lots of gaming, including videogames, pen and paper games, board games, and even fun convention games. Basically, if it's about games, we want it to be part of what we're doing. Each member of the Expo planning team (which is basically the entire company) is excited and motivated by different aspects of the show. Maybe it's a particular celebrity or exhibitor we've lined up, or a sanctioned tournament, or a fun social event. 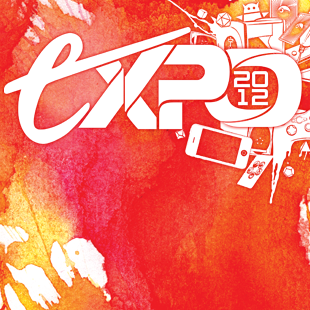 But since I was asked to announce this, I'm going to talk about what excites me personally when I think about the Expo. First, some people still think of gaming as just a hobby. The words themselves are fine, but the implied meaning that sometimes lies behind them - that gaming is still a constrained and unusual activity - is clearly not. Movie stars play D&D, pro athletes have Call of Duty clans, and even the President collects Spider-Man comics. Games and gamer culture are a vital part of mainstream society these days and we need to embrace the opportunity to strengthen and emphasize that connection. That's always been the philosophy behind our editorial content at The Escapist and it's a big part of what the Expo is all about. Right now, there's just not a big, visible consumer focused videogame show in the Southeast. We think that's wrong and we want to change it. Second, we'd be foolish not to take advantage of the unique opportunities provided by the Raleigh-Durham area. Not only is it The Escapist's own backyard, but it's also home to some of the industry's most important development studios, including those responsible for Gears of War and Ghost Recon. Several other local companies and colleges contribute the vibrant development scene here, and there are even a few big name celebrities in the science fiction and fantasy fields who live quite near our offices. Once we realized the depth of talent that was practically sitting on our doorstep, we knew we needed to make this happen. Third, our staff and our contributors usually only have the opportunity to get together and meet with fans at someone else's show. Now, we're always going to have a strong Escapist presence wherever gamers gather, but it's past time we hosted the party ourselves. Now you can come to one show and find Yahtzee, the LoadingReadyRun crew, MovieBob, Jim Sterling, and Gavin Dunne as part of the main program. We're even holding a live concert where Gavin will perform songs from his popular Miracle of Sound series. Naturally, you'll also have the chance to meet the rest of the staff from The Escapist, including the members of our editorial team and all the talented folks working behind the scenes to make this website a place you want to visit. Finally, we want to give you all a chance to meet each other. We've always tossed around the idea of local meet-ups at other conventions, but either the context or the concentrations were wrong. We've loved seeing fans come together at other conventions, but what we're doing with the Escapist Expo is creating the opportunity for the community and our contributors to come together in one place and one time and actually become a real community. More than anything else, it's the chance for us to put faces to names and to discover more about each other than can be learned from forum posts and the common interest we have in the website. I'm really excited by all great stuff we're planning and can't wait to tell you even more in the coming months. If you'd like to know more about the show right now, just visit escapistexpo.com.